Saddleback Stools. 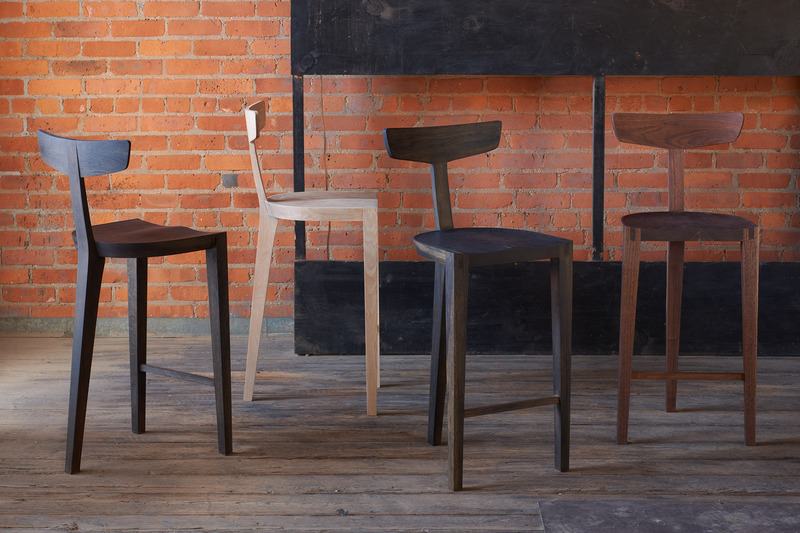 Shown in charcoal Oak, natural Oak, oxidized Oak and Walnut. Seat is counter height26.25".